How Do You Evaluate This Stuff? Mark Cabaj summarizes focal points in the discussion of evaluating community-based economic development initiatives: the need to specify why an evaluation is to take place, by whom, and how quantitative measures can be used without distorting an organization's practice or accomplishments. 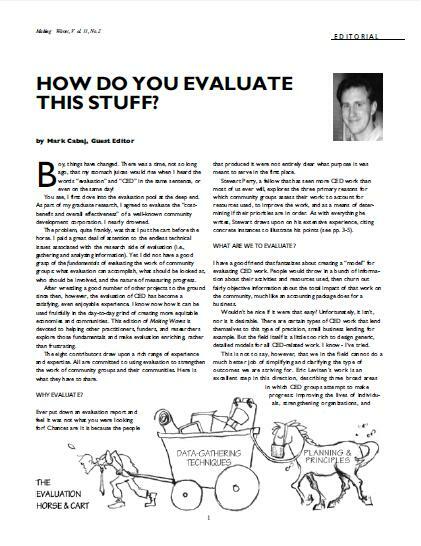 Absolutely central to all these issues is the necessity of planning an evaluation, instead of jumping into data collection with both feet.